Writing is difficult. Especially good writing. It takes time and mental effort t o take an idea, broaden it into a theme, imagine it as a story—a coherent flow of thought expressing the idea from introduction through conclusion—then put that story into words. Not easily done. That explains why I greatly admire authors, poets, playwrights, screenwriters, journalists, essayists who are accomplished wordsmiths—those writers who always seem to find the right word, the right style, the right phrase, and the right voice to express a thought or emotion and intricately weave them together to create story. Twitter (actually, twttr.com, at the time) arrived almost a decade ago (Can you believe it?) 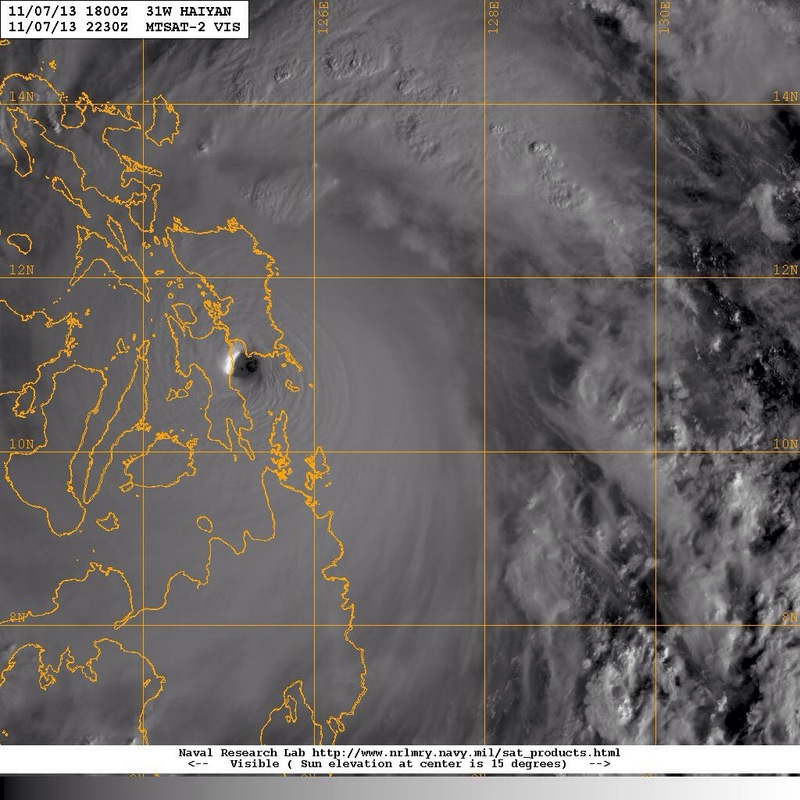 on July 13, 2006. Its distinguishing characteristic as an online social networking service (well, aside from introducing hashtags to the world) is its 140-character limit for online messages. The limit came from Twitter’s original objective to let a person send a status message, as an SMS text message on a mobile phone, that could then be broadcast to a group. The SMS architecture constrained the length of the messages. The initial concept of sending status evolved into the broader perception that the service would be much more valuable as a way to express any spur-of-the-moment thought as a short burst of information. Brevity and immediacy were the keys. Thus, the 140-character limit has continued as a centerpiece of Twitter even though it’s not required anymore by text messaging services—it underlies Twitter’s unique purpose as a facilitator for disseminating short, quick capsules of information. One reason for Twitter’s proliferation (more than 300 million active users) is that the 140-character limitation eases the writing process. The mental calisthenics are gone—no more taking an idea, broadening it to a theme, imagining a coherent flow of thought, and creating story. Now it only takes an Internet link, a Twitter account, and a keypad to produce stream-of-consciousness missives on Twitter—something that appeals to many. Additionally, the audience is huge which provides even greater incentive for anyone to produce a continuous flow of 140-character thoughts. Much has been written about the advantages and disadvantages of a 140-character world by people much more knowledgeable about the subject than I am [see, for instance, 1, 2, 3, 4, 5]. So, I won’t even try to add anything to those ideas. Instead, as a way to have some fun and as a bit of a mind game I began to think about some famous historical phrases and writings and how they would change if truncated to the Twitter 140. It became an entertaining exercise. The 140-character excerpt does include the six most famous words uttered by Hamlet as he began his soliloquy, but it certainly misses the depths of Hamlet’s introspective contemplations about life and death. Unfortunately, the 140 truncation removes “We’ll always have Paris.” and “Here’s lookin’ at you, kid.” The emotion is extinguished. The stop at 140 characters drops most of the memorable 617-character opening sentence to the Dickens’ classic. This hardly scratches the surface of what’s to come. Bud Abbott’s warnings to his friend Lou Costello, who is considering a baseball career, never even get to describing first baseman Who, second baseman What, third baseman I Don’t Know in this much-shortened version of an American classic comedy sketch. Dorothy would have never returned from Oz with this rendition of the song. 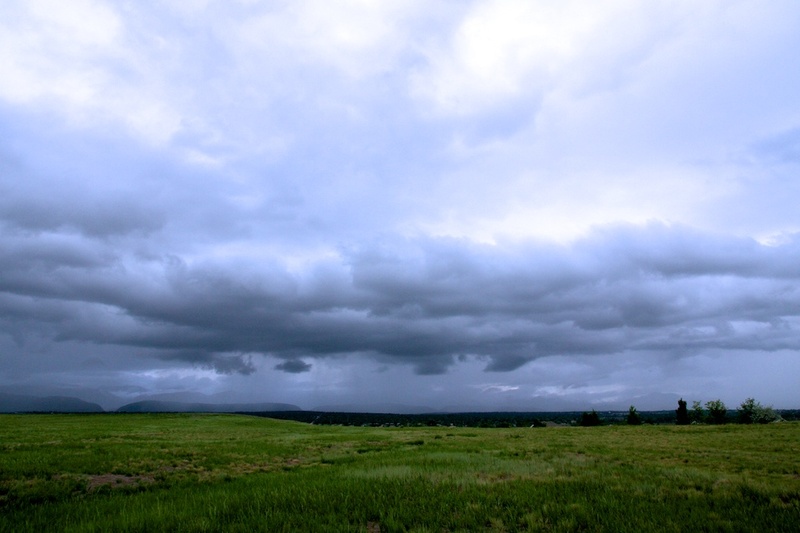 The Rocky Mountains, as with all imposing mountain chains, affect weather and climate in a number of significant ways. 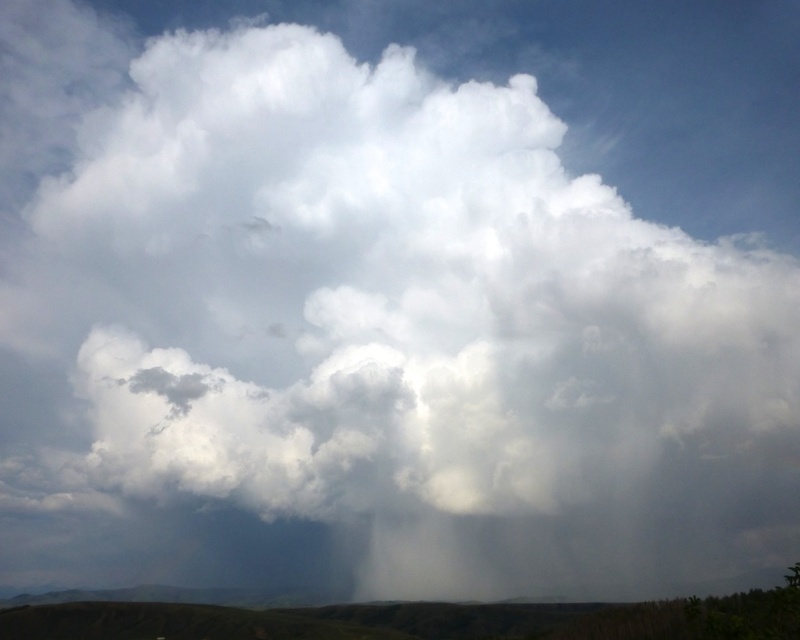 Summertime heating of the mountain slopes causes one of the more majestic effects, the regular, almost daily, development of thundershowers over the higher terrain. 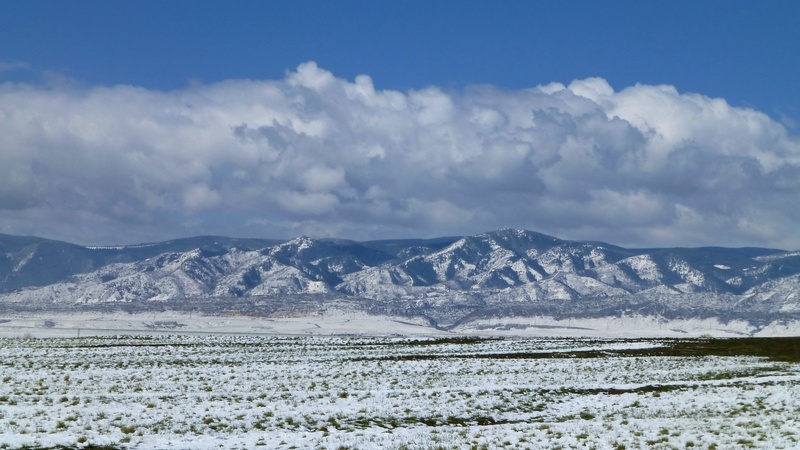 The Rockies in central Colorado reach elevations just above 14,000 ft (4267 m), about one-third of the way up into the troposphere (the layer in the earth’s atmosphere closest to the ground where most of our weather and clouds form). When the sun warms a high-elevation mountainside during the day in summer, that heat is quickly transferred to the atmosphere. Putting a heat source at 14,000 ft up in the troposphere, a level where the atmosphere is usually chilly, causes convection, the rising of air due to heating. Even on relatively dry days with only a meager amount of moisture in the troposphere, the convection caused by the elevated heat source of the mountains is so strong clouds can still form. 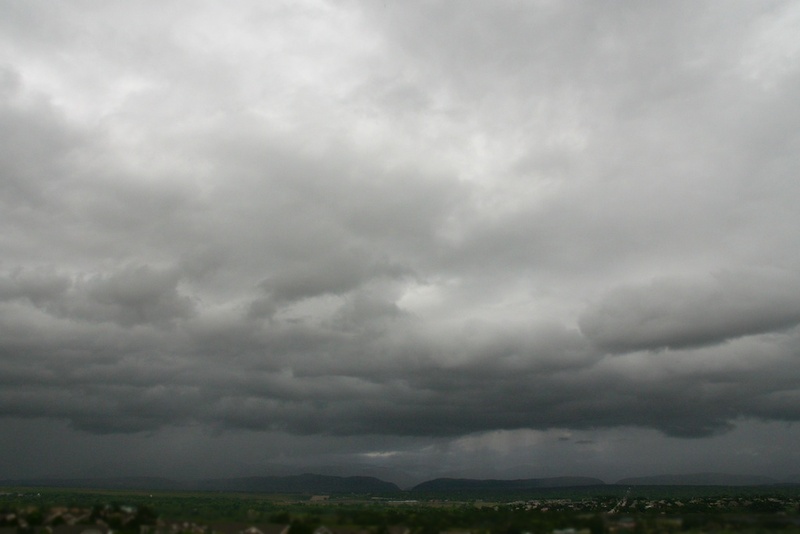 If there is enough moisture, those clouds will become showers and thundershowers. 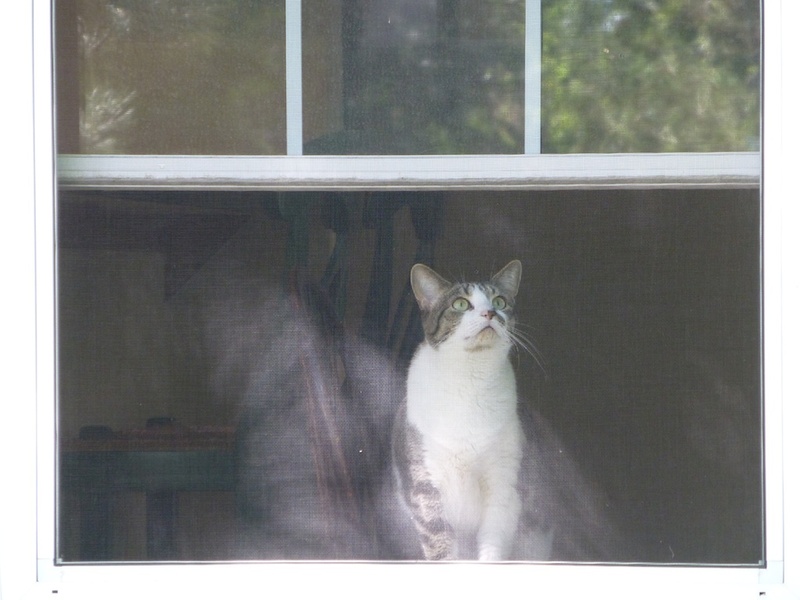 The French novelist Colette coined a truism when she said, “There are no ordinary cats.” Both of the cats in our household live up to their non-ordinary qualities on a regular basis. However, it is the younger of the two, with her kitten-ness still intact at two years of age (human years, that is), who tends to exhibit precocious whimsy a bit more often than her older feline housemate. 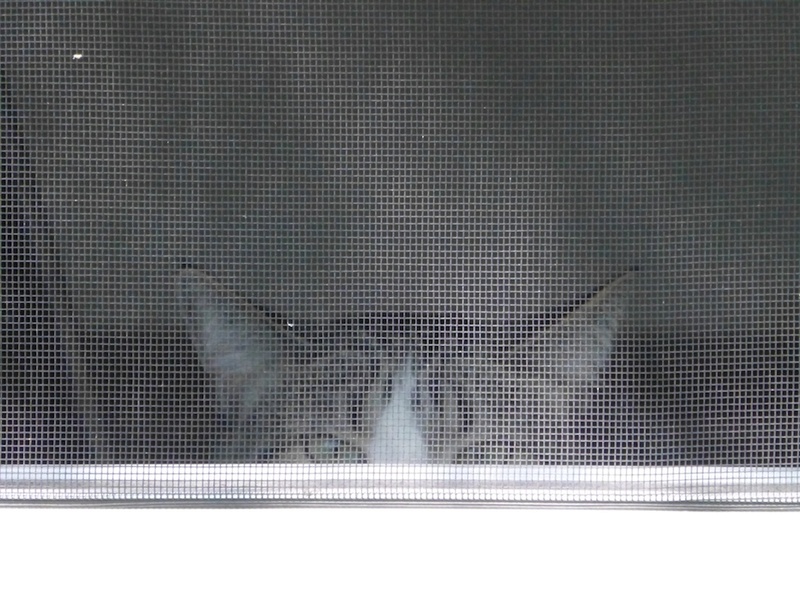 Recently—well, really since the snow stopped flying at the beginning of May—Daisy, the younger cat, has discovered the bird and squirrel activity just outside the windows on the north side of the house. Out there, a beautiful ash tree and equally verdant blue spruce grow in the yard. I’ve hung a bird feeder on one of the branches of the ash tree (and protected it with the all-important anti-squirrel cover). 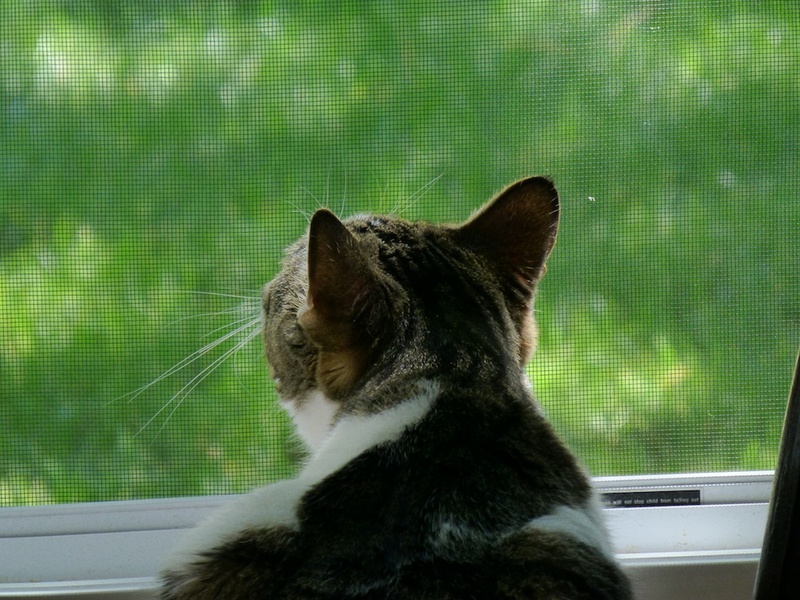 Thus, a never-ending source of avian action ensues as finches, wrens, chickadees, and other assorted species flitter from the safety of the dense spruce to meals at the feeder. Meanwhile, seeds fall below the feeder keeping the squirrels and morning doves happy. To complete the scene, a hummingbird feeder hangs on a metal rod just to one side which has been discovered by a family of the broad-tailed colorful birds. 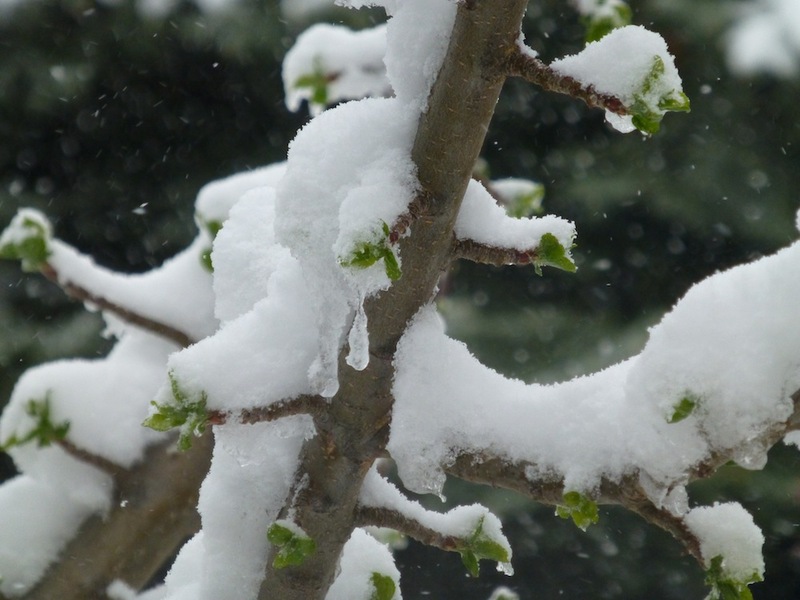 …and, with the last, late-season snowstorm coming on May 1, the hummingbirds still managed to return to the mountains about on schedule this year, arriving during the last week of April. They were hungry after their long migratory flight, so the hummingbird feeder was deployed outside as soon as the first trill of hummingbird wings was heard near the house. Surprisingly, especially for so early in the season, I noticed the level in the feeder dropped very quickly in the first few days after I put it outside. I surmised that we had very hungry birds this year or, maybe, there were many more hummingbirds in the area using our feeder than I had seen. 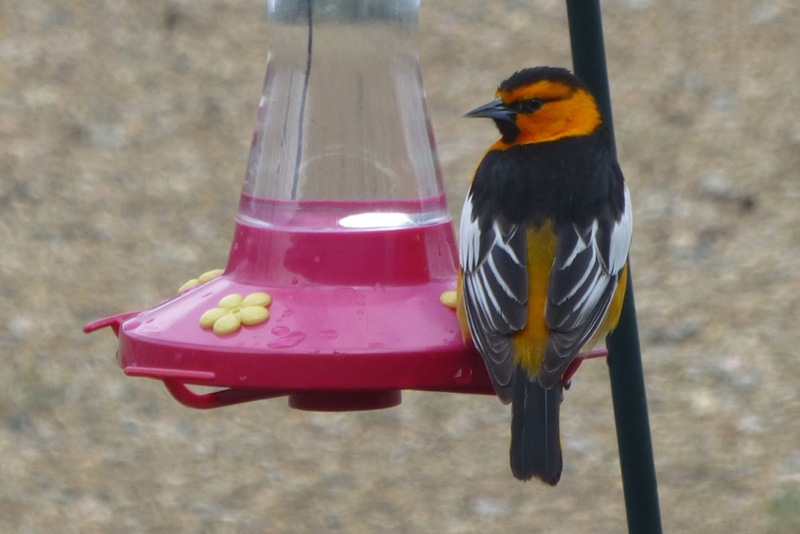 That’s a Bullock’s Oriole, and I’m no ornithologist (IANAO 🙂 ), but it, apparently, likes sweetened water and it has a beak small enough to fit into a hummingbird feeder. It had a “field day” taking long gulps out of the feeder, despite the cackling and diving of the hummingbirds as they tried to scare it away from their food source. Needless to say, until the wildflowers start blooming, there will probably be an ongoing confrontation between the oriole (or orioles) and the hummingbirds. 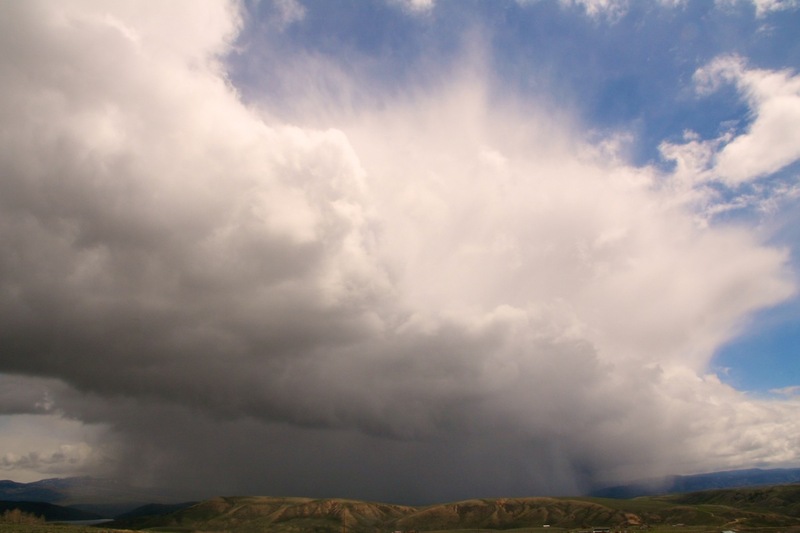 Often in May, with the air still retaining some winter chill, and the land warming rapidly from near-summer sunshine, convective showers of snow and hail form over the Rockies and adorn the sky-scape. This happened over the weekend and I caught this image showing a beautifully picturesque shower as it was passing by to the east. The fibrous texture of the cloud’s top results from ice crystals formed as the shower cell bubbles skyward due to the heating below. 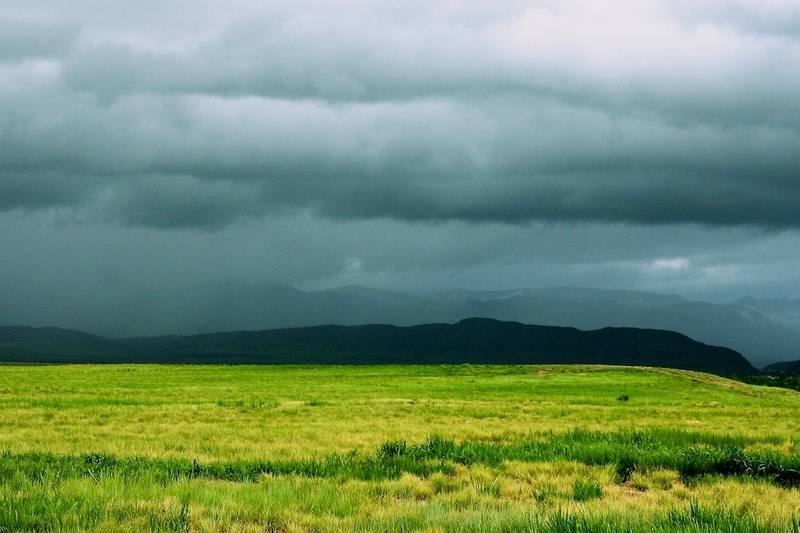 Grayish snow and soft-hail can be seen falling out of the cloud obscuring the land surface underneath it. Surface temperatures were in the low 50s°F (12°C) in the sunshine, dropping to about 40°F (4°C) when one of these showers passed overhead. 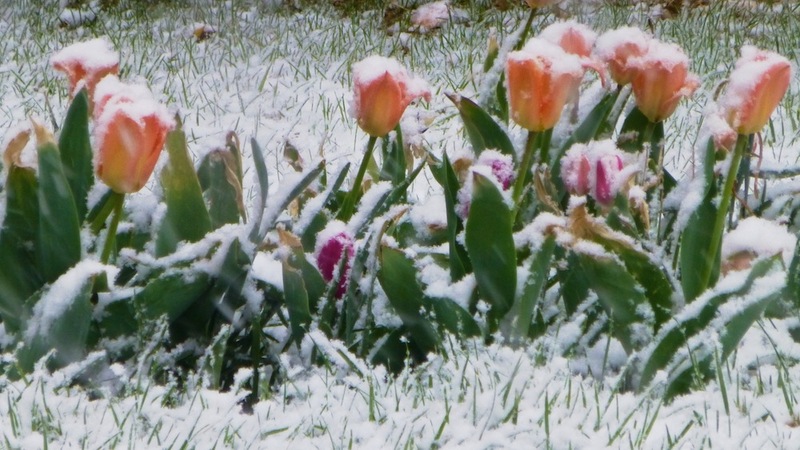 The snow and soft hail would whiten the ground, briefly providing a wintertime look to the May landscape and angering the nesting robins chilled by the sudden squall. Ever since I learned about the Cloud Appreciation Society (CAS) a few years ago, I became an instant fan and, as quickly as international post would allow, I became a life-long member. 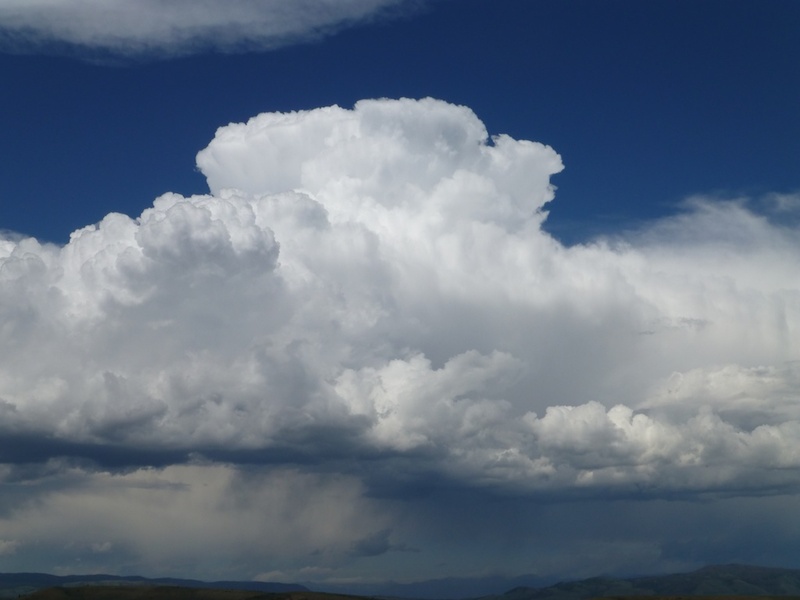 Not only does the society have a wonderful collection of cloud pictures and videos from its 32,000+ members (not to mention cloud music, art, and poetry), but they (we) also encourage learning about clouds through a mix of solid science and a bit of whimsy. After all, learning while laughing definitely speeds learning, no matter what the subject—especially, if it is about something as ephemeral as clouds. Just what has attracted her attention, you ask? 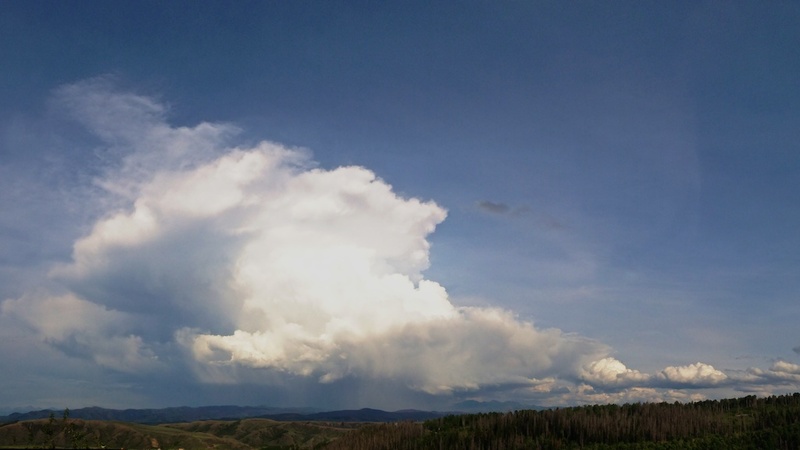 It is a picture of one of several thunderstorms which moved over the Boulder, Denver, and Colorado Springs metro areas today. I took the thunderstorm picture earlier in the day thinking it would be a nice contrast to the winter weather pictures I took last week during our late-season snowfall (Last week was winter, this week is spring; extrapolation predicts summer soon). 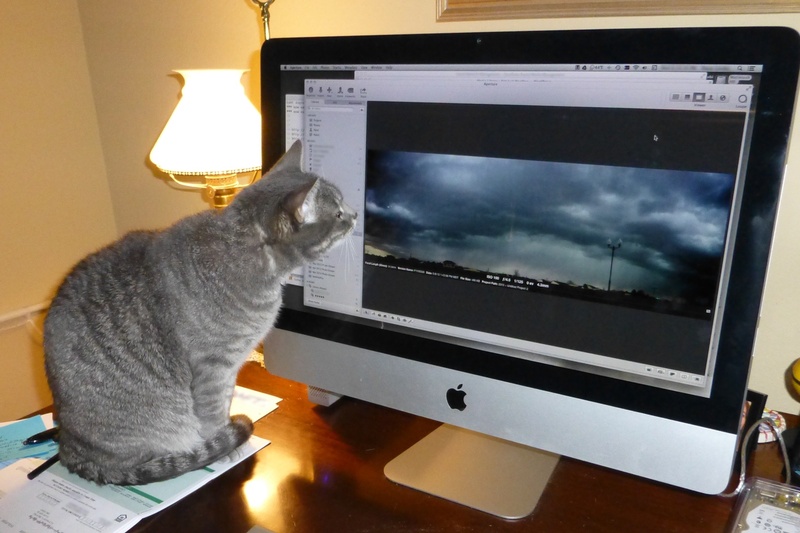 While cropping the image on the computer, Olive the cloud-spotter feline spotted it. She was mesmerized, quite unusual for her capricious personality. 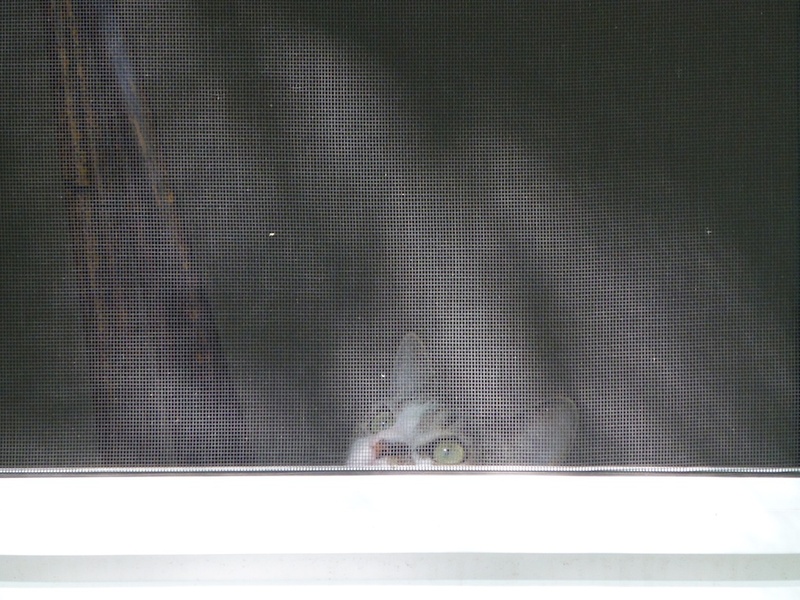 In fact, she was mesmerized to the point where she remained still long enough for this, and a few other, cute cat pictures. To keep her purring, I promised to remit her lifetime membership fee for the Cloud Appreciation Society as soon as possible. They already have a dog who is a member, but I think Olive would be the first cat. With this storm and the showers that followed it, we received about 0.5 inch (12 mm) of rain today. Any rain (or snow, for that matter) this spring is a big help for us because we are still trying to get out of long-term drought. 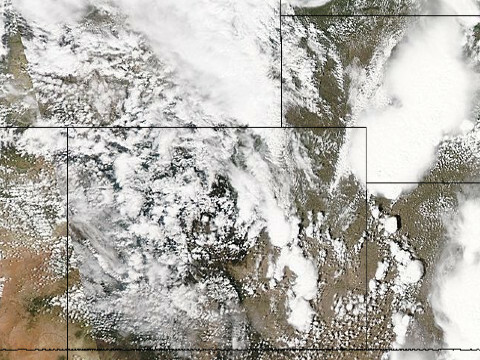 With the early May sun providing about 5 times the energy as the mid-winter sun (in the Northern Hemisphere at 40ºN latitude assuming a clear sky), it doesn’t take long to melt the 6-15 inches (15-38 cm) of snow that fell along the Colorado Front Range yesterday. Before it all melted, I took this beautifully white picture looking west from the southern Denver suburbs towards the mountains. 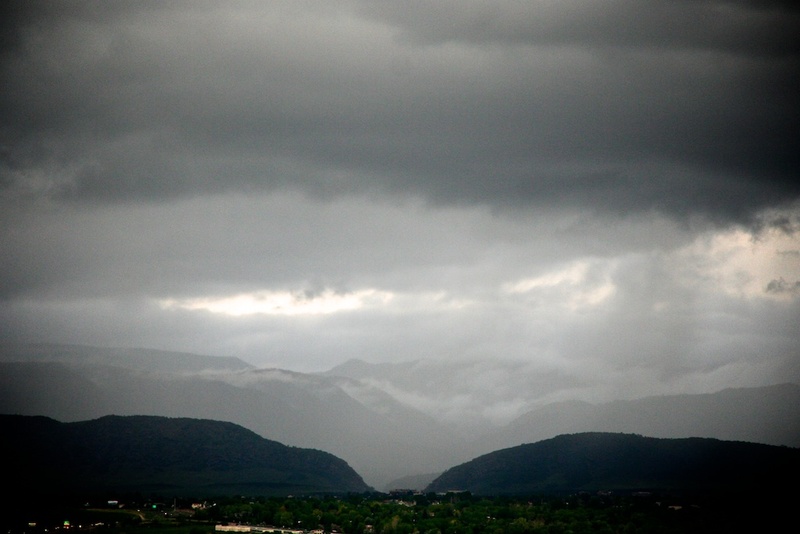 The higher peaks along the Continental Divide which would typically be visible behind the mountains shown are obscured by the cumulus clouds in the picture.